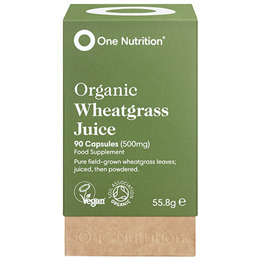 One Nutrition Organic Wheatgrass Juice Powder has been extracted using patented CO2 & cold extraction technology which ensure minimal loss of nutrients from the field to your table. Cultivated in a pristine environment over many hundreds of acres in Utah, USA, our wheatgrass juice powder is `field grown` over the long cold winter months. This ensures that the young wheat establishes deep roots into the earth, extracting the maximum amount of nutrients from the rich organic soil and locking them in until harvest. Organic Wheatgrass Juice Powder, Capsule shell: Hydroxypropyl methyl cellulose. Take 2-6 capsules daily with water or juice. Below are reviews of One Nutrition Organic Wheatgrass - 90 x 500mg Capsules by bodykind customers. If you have tried this product we'd love to hear what you think so please leave a review. 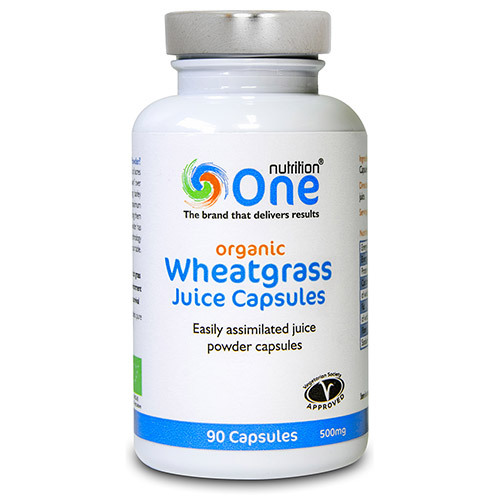 Organic Wheatgrass capsules give you a refreshing feeling in the morning. Organic Wheatgrass gives you a lively feeling in the morning. Capsules are better to swallow than tablets.